In 1996, the first year that scholarships were awarded, 25 deserving students were recognized as scholars. Through the generosity of our donors and partners, we are now able to award more than 500 scholarships annually. In total, we have awarded more than 8,300 scholarships across the country. 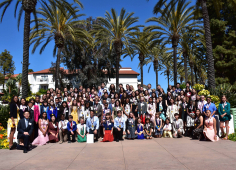 Nearly 3,000 Carson Scholars have been recognized for their academic and humanitarian achievements in multiple years. Our scholars come from all across the country, and our award winners currently represent all 50 states and the District of Columbia. Carson Scholarship winners have attended more than 700 colleges and universities, and have received more than $6.3 million in scholarship funds to help finance their education. The Ben Carson Reading Project has also enjoyed similar success. Through partnerships with individuals, corporations and foundations, over $2 million has been invested into creating and maintaining Ben Carson Reading Rooms. Over 195 reading rooms have been established in schools across the country. Our 501(c)(3) non-profit programs are financed through individual and corporate donations. Over 90 cents of every dollar contributed is directly invested into our educational programs. Please click here to learn more about how you can help our programs continue to encourage and reward academically talented and socially conscious leaders. The Carson Scholars Fund was founded in 1994 by Dr. Ben Carson, and his wife, Candy. In March 2017, Dr. Carson resigned his positions with the Fund in order to serve as the nation’s Secretary of Housing and Urban Development, where he can continue to serve the communities that benefit so greatly from the Carson Scholars Fund’s education and literacy programs. We congratulate him on his confirmation and the nation’s recognition of his commitment to serving communities in need. In his absence, and under the established leadership of its President, Dr. Nancy Grasmick, and its Executive Director, Amy Warner, the Carson Scholars Fund will continue to pursue its legacy of improving education, promoting literacy, and rewarding high academic achievers. In accordance with its governing documents and the requirements of Section 501(c)(3) of the Internal Revenue Code, the Carson Scholars Fund does not support or oppose any candidate for public office. 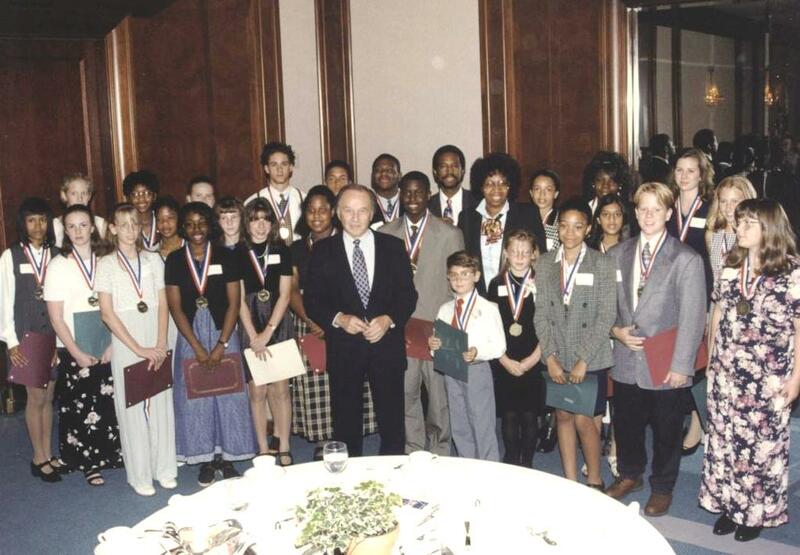 The Carson Scholars Fund, Inc. was founded in 1994 to address the education crisis in the United States. When retired world-renowned Johns Hopkins Pediatric Neurosurgeon Benjamin S. Carson, M.D. and his wife, Candy, read a research study about education in the United States, they were alarmed by the findings. The study showed that our nation’s students ranked #21 out of 22 countries; next to the bottom of the list in science and math. Furthermore, the Carsons observed that many school display cases were filled with large trophies paying tribute to their sports teams’ achievements, while honor students only received a pin or certificate. Carson Scholarships are awarded to students in grades 4-11 who exemplify academic excellence and humanitarian qualities. 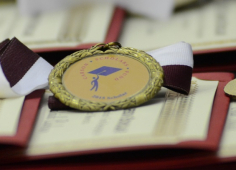 Winners receive a $1,000 scholarship to be invested toward their college education, along with a recognition package, and an invitation to attend an awards banquet. Carson Scholars become role models and leaders at their schools. Learn more about our scholarship program. In his autobiography Gifted Hands, Dr. Carson wrote about how his life was changed once he embraced reading. 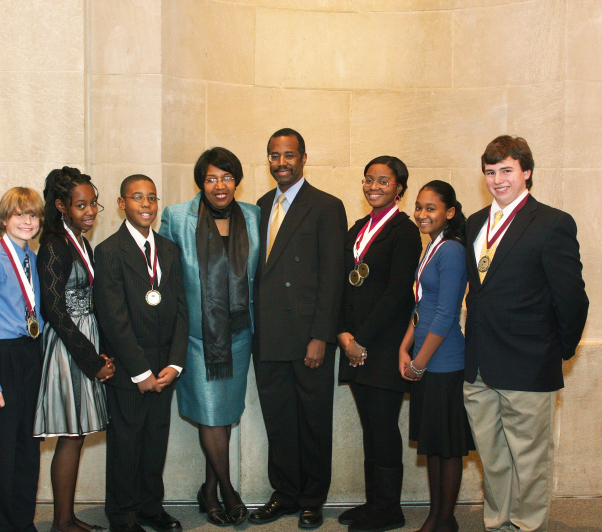 So as the Carson Scholars Fund grew, the Carsons established a second program – The Ben Carson Reading Project. 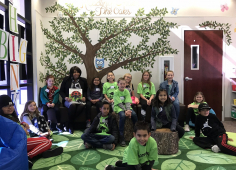 This initiative, which started in 2000, provides funding and support to schools to build and maintain Ben Carson Reading Rooms – warm, inviting rooms where kids can escape into the world of books. Each room is colorfully decorated and promotes Dr. Carson’s “Think Big” philosophy. Learn more about our Reading Rooms. Find our latest research reports about the impact of our scholarship program and reading room program on our Publications page. To view our 990 and Audited Financial Statements, please visit GuideStar. Our IRS determination letter is available by request.